During post-production of my first feature documentary, Ocean in a Drop, I began writing, drawing on my journals and the numerous interviews I’d undertaken, what has turned out to be a my first book, Right to Know – India’s internet avantgarde. Right to Know describes, in part, how Ocean in a Drop came about, then goes on to describe the more nuanced observations on the impact the internet is having on rural and tribal communities in India. It provides a more indepth and personal view of the many stories shared with us, so many more than the film could tell. The book closes with a series of photographs taken by up-coming photo journalist Mubeen Siddiqui. Mubeen accompanied our crew on every shoot eventually turning his hand to videography. Designer and then intern at the Digital Empowerment Foundation, Cathy Chen, created a unique layout for the book which, if you’re lucky to find a print version, was printed on hand made elephant dung paper. A PDF/eBook version can be freely downloaded and shared. Forwards were kindly written by Anriette Esterhuysen (Director of global policy and strategy, Association for Progressive Communications) and Mishi Choudhary (Legal Director, Software Freedom Law Centre). 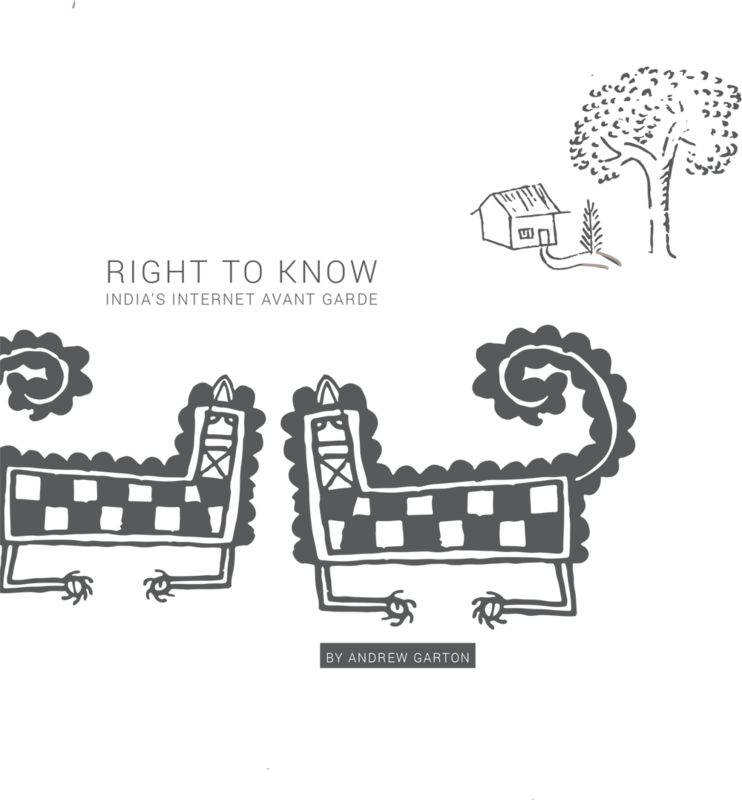 Right to Know is published by the Digital Empowerment Foundation and the Australia India Institute. It was launched in Delhi on 16 December 2017 by the Australian High Commission in collaboration with the the Australia India Institute and the Digital Empowerment Foundation.